As the Smartphone usages are booming up, more people are using the Internet on their Smartphone higher than ever it is expected that mobile phone will be primary device to connect to the internet by 2020, by looking into this factor companies start targeting mobile users for their advertisement, apart from genuine companies scammers are also targeting mobile users to do fraud and scams. 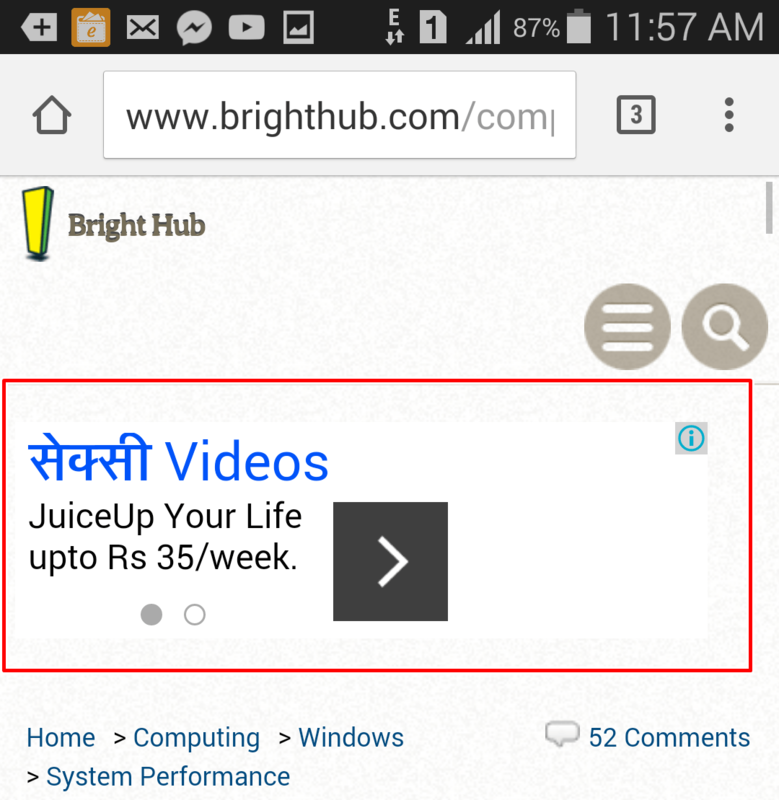 Today while surfing the internet on my smartphone and I noticed an Advertisement on a website, this ad was something which I usually don’t see, since the site which was having this ad was using Google Ads and Google generally doesn’t advertise sexual content or Ad copy because these ads are categorized as sensitive by google. As you see this page has Yes and No button, I clicked on Yes to see what it is, thereafter surprisingly I got 2 SMS saying that subscription has been activated and I was charged Rs. 21, this is really pathetic and unauthorized charge because how your service provider or any other company can deduct money from your phone balance without your consent, having a website with Yes, No option to get any services isn’t fair since I haven’t been logged into any of their portals. This is a complete fraud since no site is authorized to deduct money just by hitting Yes button without logging into any portal. This would be fair if I were logged into the portal of my service provider, but I wasn’t. 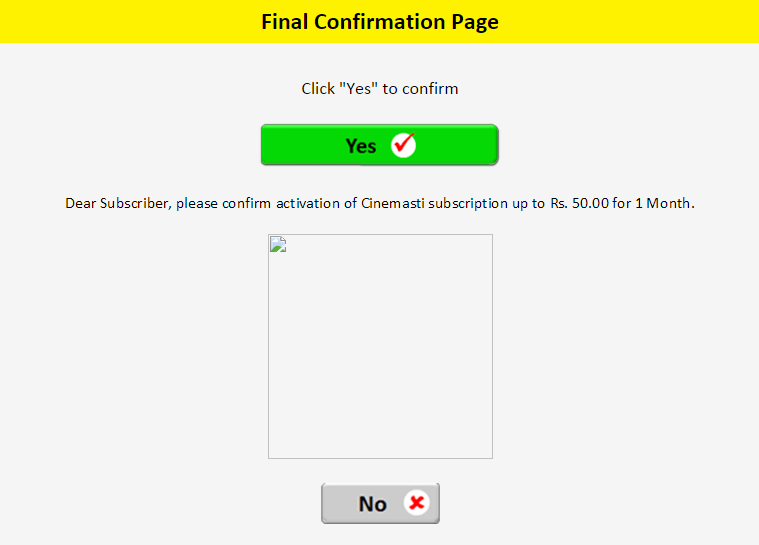 it seems like whether you click on Yes or No it will activate that bogus subscription service. Now let’s Investigate this scg.icl.in Fraud. 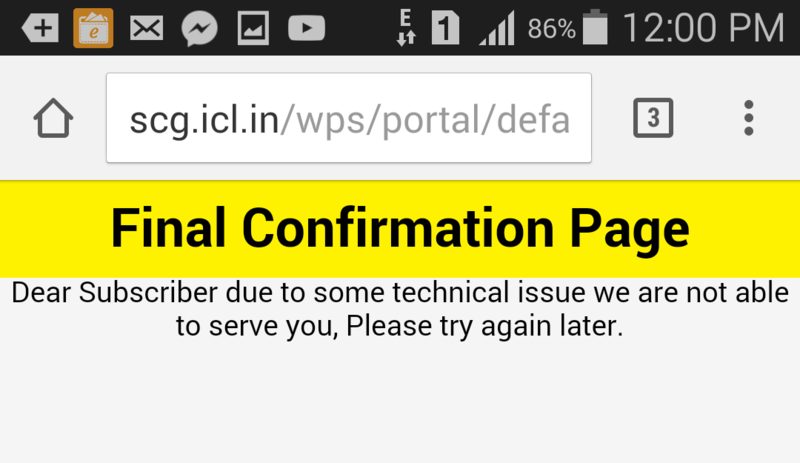 Now I tried to open the home page scg.icl.in which redirected me to another URL scg.icl.in/wps/portal/default-wcg and showing some technical error page. Obviously it is a fraud since a Genuine company won’t do such lame things. I thought it happened because I was using mobile phone having a SIM with a Phone number they traced my mobile number and my service provider using any black hat method ( I am using IDEA cellular services) and somehow i got tricked. Now i thought i am using internet on Laptop using HotSpot it has nothing to do with my mobile phone number so i clicked on Yes again, lol i got another SMS from same sender saying i have been charged Rs. 50 for Cinemasti subscription. this made me furious because how once can get my mobile phone number if i am using internet on my Laptopthe ,only connection is here that i was using internet via HotSpot which was connected to my Mobile phone, does that mean one can track my mobile number if i am using internet on laptop via HotSpot? Well, it is possible. Now what ? I continued my investigation and looked up for the who is record of this domain and gothe t following information. I think this information is completely fake since it is showing their organisaion as Idea Cellular Limited, a big company will choose private domain name registaration and such info won’t be accissible on who is. Lets have a look on companies who are advertising this site, after looking the similar web information i found there are several companies including Google who are advertising for scg.icl.in, most of them are adult content advertising network. After further investigation, I found that this is a black hat method to fool the customer and this site is using MSISDN number to identify a mobile number and operator so that they can offer suitable subscription option accordingly. What I got Inside this Subscription. After unknowingly rolled into the Juice Up subscription i got SMS having a tracable link bit.ly/juitpcg which shows my value added services, it is a rogue website with few Images and Videos of Celebraties (Check the link). Another Subscription service Cinemasti has link www.clubcinemasti.com which is another bogus site with few pics and videos. Fun part is – these link are accissible from everywhere and any user on other network or Broadband users can visit this link without any subscription, so they charged me to give this public link (A big LOL) . When you open Juice Up link it will shows you an URL having IP – http://220.226.188.56 now if you open the root domain using this IP it will take you to Mobivite login page, it means these ads are being marketed under Mobivite, Mobivite is a big company who does mobile web marketing. Is IDEA Cellular behind this? So my Service provider is behind this ? Probably Yes and No, this ad campaign may be running by IDEA itself or one of their Affiliate is running all these campaign on various Ad networks for different cellular service providers.IDEA may not be alone in this game, there may be other cellular companies who tricks their customers by using such Ad campaign. I tried opening these links using other cellular networks like Airtel but few links are showing blank page and few are showing web page not available, maybe they have other Ad campaigns with different links for other cellular networks. IDEA may not be alone in this game, there may be other cellular companies who tricks their customers by using such Ad campaign. I tried opening these links using other cellular networks like Airtel but few links are showing blank page and few are showing web page not available, maybe they have other Ad campaigns with different links for other cellular networks. I tried opening these links using other cellular networks like Airtel but few links are showing a blank page and few are showing web page not available, maybe they have other Ad campaigns with different links for other cellular networks. So guys be aware and do not click on such advertisement while surfing the Internet on your smartphone, you may end up loosing money on it. please let me know in the comments if you are victim of this fraud or if you have more information on this, i wasnt able to open these links on other network except IDEA cellular, if you are using other network and got tricked for such bogus subscription let the world know. Please let me know in comment if you are victim of this fraud or if you have more information on this, i wasnt able to open these links on other network except IDEA cellular, if you are using other network and got tricked for such bogus subscription let the world know. Yes. I’ve been tricked by them with similar method for subscription of imlee services. The trai guideline says that 2nd consent is necessary from third party gateway other than the one who is charging for subscription. Can we do something about this fraud?